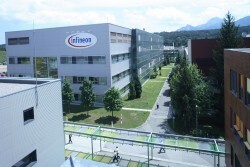 Infineon Austria, subsidiary of the multinational German electronics company based in Munich, achieved in 2009/10 as of September 30 a turnover of € 1.33 billion (+43%). The operating result increased by € 117.6 million to € 153.6 million. CEO Monika Kircher-Kohl said: "Despite the disappearance of two research units, we have achieved record sales."